The Qsep400™ has the highest throughput in the Qsep family. 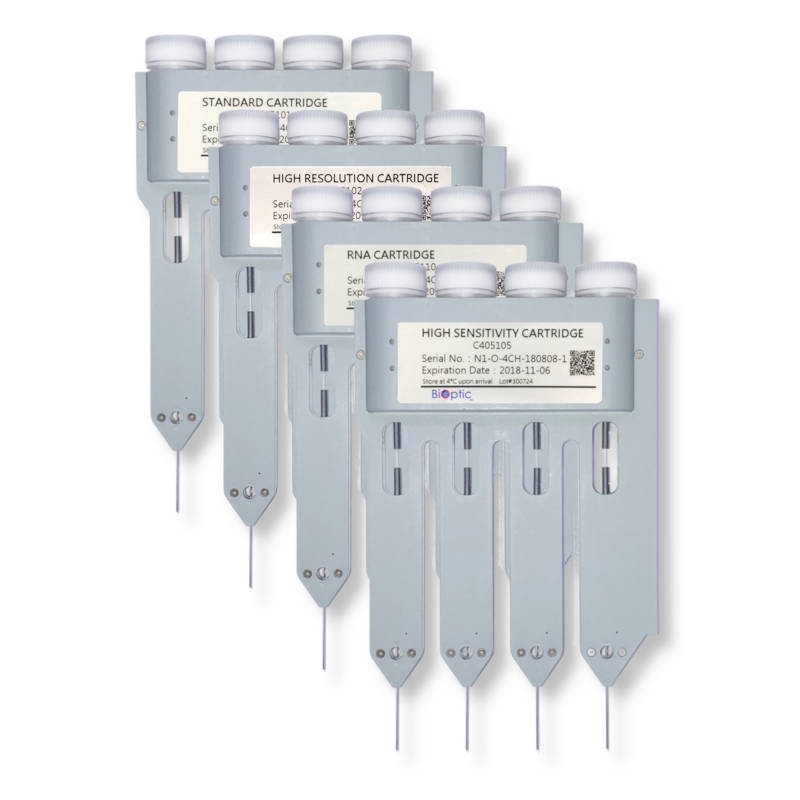 It is designed as a 4-capillaries gel electrophoresis (CGE) system, integrated with a high sensitivity LED-induced fluorescence (LEDIF) detector with an easily-replaceable 4-channel gel-cartridge and 96-well auto-sampler, which can analyze/detect four samples at the same time. 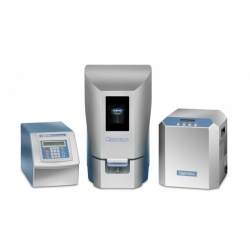 The Qsep400 has been designed for the larger research and clinical laboratories, who have large sample volumes. The high-throughput system provides high-speed analysis, superior results for all kinds of molecular genetic analysis applications. 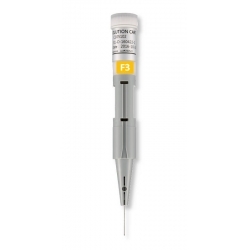 The Qsep400, with variety of replaceable gel-cartridge kits, is specifically designed for DNA, RNA and Protein analysis providing reproducible and accurate test results in minutes. 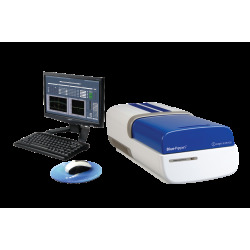 The Qsep400 comes with Q-Analyzer software which has a simple-to-use User Interface (UI) that delivers consistent and high-precision data analysis and data export functions helping users in their daily molecular biology experiments. 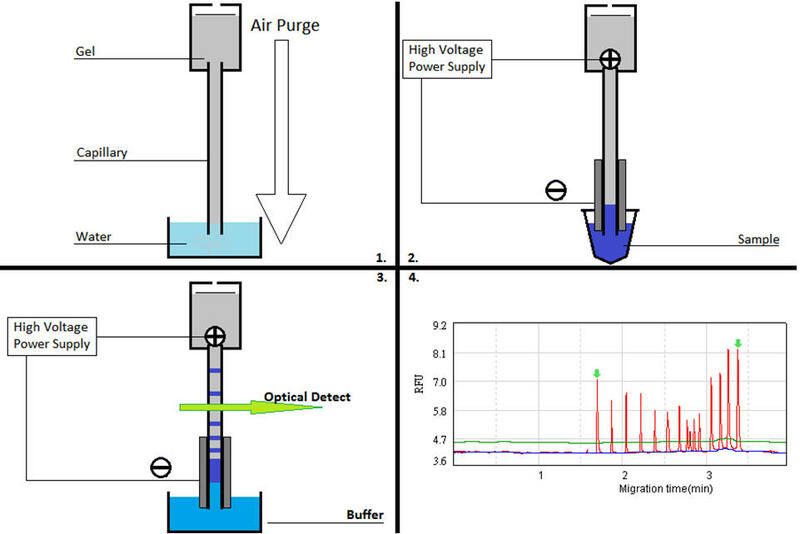 CGE uses separation based on the difference in solute size as the particles migrate through the gel. Gels are useful because they minimize solute diffusion that causes zone broadening, prevent the capillary walls from absorbing the solute, and limit the heat transfer by slowing down the molecules. A commonly used gel apparatus for the separation of proteins is capillary SDS-PAGE. 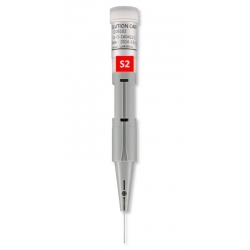 It is a highly sensitive system and only requires a small amount of sample.